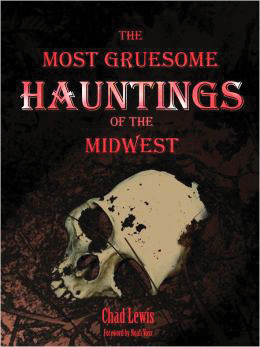 Chilling tales of murder, suicide, and untimely death brought to you by one of the Midwest’s most famous paranormal experts. Chad Lewis is a researcher, author, and lecturer on topics of the strange and unusual. He has a master of science degree in pyschology and has traveled the globe in search of unique and bizarre stories and history. The northwoods of Wisconsin are filled with ghost tales, folk legends and stories of supernatural happenings. Sit back and enjoy this book of legends as told by Native American storytellers and descendants of French, English, and other early pioneers to the north country. 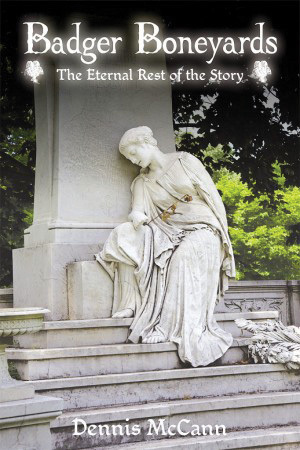 If you’ve ever loved a ghost story and are curious about the people who dig into those stories, then this book is for you. If you’ve ever just loved a good chilling tale, then this book is for you. If you’re curious about people’s opinions on ghosts and the like, then this book is for you. The Chippewa Valley is nestled snugly in a vast tract of Wisconsin farmland that offered early settlers a secure place to settle into the American dream. But the valley also harbors a strange and sometimes confusing past. From the boisterous activity of the lumber boom to the lingering stillness of the Eau Claire Asylum, this northwestern corner of the Badger State is filled with tragic stories and tall tales. Cast off with the ghost ferries of Caryville or stand vigil in the small, secluded cemetery where the spirits of children come out to play. Join Devon Bell on a journey into the eerie history of the Chippewa Valley. The bodies are buried, but the stories are not. From the ornate tombs of Milwaukee beer barons to displaced Chippewa graves and miniscule family plots, Badger Boneyards unearths the stories of Wisconsin. Football great John Heisman is buried here, as is the state’s smallest man, a woman whose tombstone names her murderer, and the boy who would not tell a lie and paid the price. Why is Wisconsin called the most haunted state in the country? Find out in this chilling collection of supernatural stories, highlighting nearly 30 of the state’s spookiest spots. From a house so haunted it was featured on a national TV show to a road where a werewolf is said to reside – and much, much more – it’s all right here in this book. Don’t read it alone! Twenty-five creepy tales of ghostly hauntings, eerie happenings, and other strange occurrences in Wisconsin.